Last updated on Feb 6, 2018 Originally published on February 6, 2018 by malihu, under Plugins, Tutorials & snippets, WordPress. 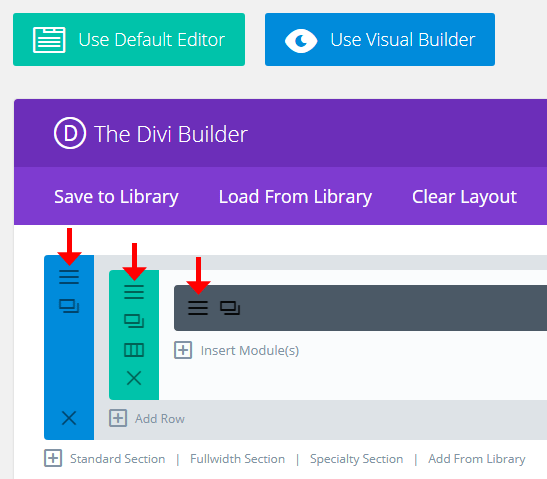 A quick guide for using “Page scroll to id” WordPress plugin with the Elegant themes Divi Builder plugin on your WordPress site. By adding the element selector above, we instructed the plugin to handle all links that have a hash (#) in their URL. Divi Builder plugin allows us to enter an id value for each section/module we want (via the CSS ID field). This is very handy as a)we don’t need to create our id targets manually and b)makes links highlighting easier and more precise. When ready, click Update (or Publish) to save your post. Now, any link you create with URL #my-id (or any id value you entered in the CSS ID field previously) will scroll smoothly to that target. You can create standard/plain links in the post editor, custom links in your menu, links via “Page scroll to id” toolbar icons or shortcode etc. All kind of links will work as long as they point to an existing target id in your page(s). Disclosure:: Please note that this post may contain affiliate links. If you click these links and purchase an item, I may receive a commission (with zero additional cost to you). This website needs compensation to operate (like any other website on the internet), so affiliate links help a lot! Hey so I am currently having issues with the plugin, sometimes it will work for a while and sometimes is stops working right when i insert the anchor id url. once i save and exit the visual builder and view the page, those sections go blank or black, the block elements are there, however it’s blacked out and not viewable. Have you had this issue before? Haven’t had this issue before. Can you give me an example? When you say “when i insert the anchor id url”, what do you mean? Insert the id value in CSS ID field? If yes, what value do you insert?